More Final Fantasy XV content on the way. 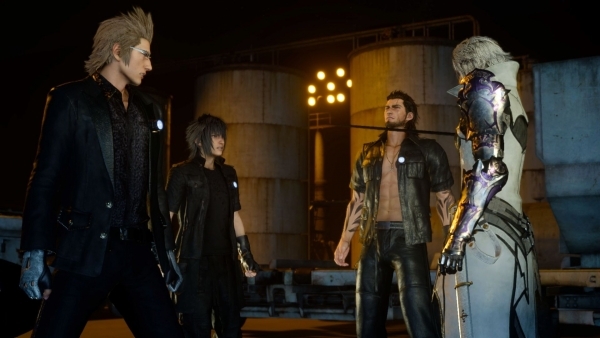 Square Enix detailed the future content roadmap for Final Fantasy XV during its Active Time Report commemorating a year since the game’s release today. Details about the future content Square Enix plans to offer will be decided by the end of 2017. From there, they will officially announce what content will be released at what timing, and in what form it will be offered. Final Fantasy XV director Hajime Tabata said that he wants to release at least three “Episode” add-ons in 2018, starting with an episode for Ardyn. Many users pointed out that the way they depicted the backbone of the world was insufficient, but Arydn’s episode will lead to a proper depiction of the world’s story. Tabata is aware that fans want to see an episode for Luna. For future additional content, Tabata wants to release them when they are in a state of absolute sufficiency. In 2018, the importance is not on releasing the content, but rather the plan has changed to releasing the content in a state where each one is properly sufficient. Not only does Tabata want to meet the users’ expectations, he wants to betray expectations and create developments that will even get those who have cleared the game and lost interest re-interested. Thanks, Games Talk and Hachima Kikou. Update 9:45 p.m.: Square Enix has released a video message from Final Fantasy XV director Hajime Tabata. Watch it below.